New Episodes of B.J. Fletcher: Private Eye? Wicked Awesome! Well, I can’t say you all haven’t been patient. Yes, the rumours are true. New episodes of B.J. Fletcher: Private Eye will be headed your way this Fall! It’s been a long wait. Believe me, I know. The cast and creative team will be reuniting this summer to film all new episodes of B.J. Fletcher! How many episodes? That will be determined by the result of our fundraising efforts. We have launched the Fletcher Fundraising Campaign on Indiegogo where we hope to raise funds to aid us in our production costs. We have already held our kickoff fundraiser during Pride Week at the Toronto Women’s Bookstore, where a wicked awesome time was had by all, including invited guest Renee Olbert of Seeking Simone. It was a fun evening of questions and answers, as well as screenings of our respective shows. If you missed the event, you can catch a recording of the livestream here. We are all so excited to be able to continue telling this story…and especially, and most importantly, to see what happens with the Fletcher/George/Jenna triangle. Is it a Season 3? For all intensive purposes, absolutely. Will it be ten episodes, as our past seasons have been? I hesitate to say. Whatever we do, there will be well fleshed out creative arcs for all the characters involved, and we’ll certainly be satisfying some long lingering, unanswered questions. So, what about the TV development deal? While I can’t really go into details regarding that, we are absolutely still pursuing that avenue. Development can be an extensively long process as I have found out (the series Mad Men was ten years in development before it got on the air)! The ideas we are pursuing for bringing the series to television would take Fletcher back to the beginning. I want to finish the stories we have already started, in the medium that we started them in. Continuing with the series on the web, through the support of the fans, gives us the freedom to do just that. The last couple of years in development have been an interesting learning curve for us. We’ve been successful in meeting with a number of networks; however, we were disappointed at the requests that were made, which would have compromised the creative integrity of the show. And really, if we’d lost that, what would the point have been? So, once again, I’d like to thank our wicked awesome fans for the continued support. Check out our Fundraising Page (there are some perks on there you might want to check out too), and if you’d like to help us out, please make a donation! In the meantine, stay tuned to this blog, our website, twitter and facebook for all the latest developments and updates. Thanks, friends. There’s wicked awesome times ahead! 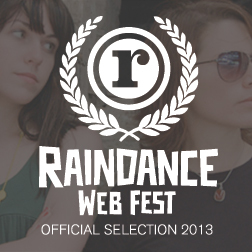 « Toronto Pride 2011: an evening of lesbian web series	» B.J. Fletcher: Private Eye Season 3 – Let’s Roll! Thanks a lot for the next season! And I myself would not want to see B.J. Fletcher on TV if it would have lost its soul, its passion and its dedication. Compromises are not always a good thing in my opinion. I'm actually really glad you intent to stay true to yourselves. I'm looking forward to any updates and as soon as I have a little more money I will make a donation for sure! As good as BJF:PE is, I can't imagine anyone asking you to change it. It is by far the funniest and full of heart webseries I've seen (and I've seen hundreds). I'm so glad that you all are dedicated to continue to tell the story. I'll be sending some good old US dollars to support the content I want to see. Would "Crap a Dime" be appropriate here? I didn't see the link to the fundraising campaign because it blended with the rest of the text, and I noticed that someone on the AfterEllen article about the fundraiser had to request a link as well. Money is important, so I suggest a one-off change of link formatting for that particular link. Bold would be sufficient. Also, as a pedantic English major, it pains me to see malapropisms and misconstructions. I'll ignore most of it, but I can't help pointing out 'well flushed out creative arcs' and 'For all intensive purposes, absolutely'. Misconstructed idioms are agonising to read. With all of my whining out of the way, hooray for a new season of B.J. 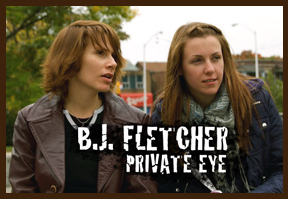 Fletcher: Private Eye!